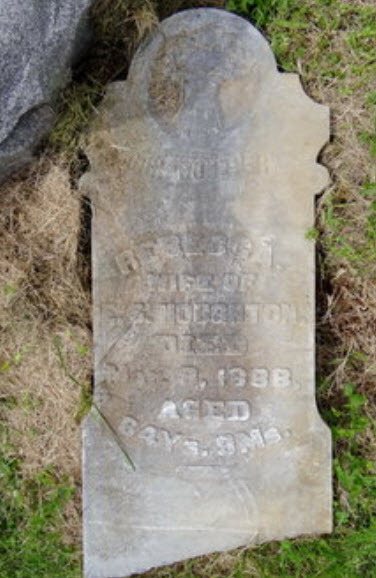 Michael F. Houghton married Elizabeth Harris in Nov 2, 1798 at Augusta, Richmond Co., GA, USA, by Rev. Dr. Boyd, Tuesday evening; Temple: Nov. 8. Elizabeth Harris married Michael F. Houghton, son of Joshua Houghton Sr and Nancy Bailey, in Nov 2, 1798 at Augusta, Richmond Co., GA, USA, by Rev. Dr. Boyd, Tuesday evening; Temple: Nov. 8. James R. Bird married Electra Ann Houghton, daughter of Reuben Houghton and Nancy Burke, in Nov 4, 1841 at Taliaferro Co., GA, USA. Electra Ann Houghton married James R. Bird in Nov 4, 1841 at Taliaferro Co., GA, USA. Electra Ann Houghton married James Bradley Jackson in Apr 2, 1846 at Greene Co., GA, USA. John B. Revell married Elizabeth Ann Houghton in Dec 6, 1842 at Adams Co., IL, USA. Eli S. Houghton married Isabella H. Williams in Aug 22, 1849 at Cass Co., IL, USA, Book III, Lic. 151#2. Eli S. Houghton married Cynthia Fish in Apr 8, 1852 at Cass Co., IL, USA, Book III, Lic. 442. Isabella H. Williams married Eli S. Houghton in Aug 22, 1849 at Cass Co., IL, USA, Book III, Lic. 151#2. Jackson Houghton married Charlotte Rundall in Sep 23, 1844 at Clark Co., IL, USA. Charlotte Rundall married Jackson Houghton in Sep 23, 1844 at Clark Co., IL, USA. Andrew A. Tinmons married Elizabeth Houghton in Jun 11, 1848 at Hancock Co., IL, USA. Elizabeth Houghton married Andrew A. Tinmons in Jun 11, 1848 at Hancock Co., IL, USA. Horace Andrews married Augusta Houghton, daughter of Amaziah Houghton and Polly Morse, in Jan 12, 1845 at Kane Co., IL, USA, Lic. 513. Augusta Houghton married Horace Andrews in Jan 12, 1845 at Kane Co., IL, USA, Lic. 513. Henry Cooley married Eleanor Houghton in Oct 22, 1837 at Knox Co., IL, USA. Eleanor Houghton married Henry Cooley in Oct 22, 1837 at Knox Co., IL, USA. Stephen B. Houghton married Vashti O. Sumner in May 31, 1849 at McLean Co., IL, USA, Book B, p. 214. Stephen B. Houghton married Dora Harman in Jun 6, 1889 at McLean Co., IL, USA, Book J, p. 167. Vashti O. Sumner married Stephen B. Houghton, son of Richard Houghton and Sarah Burkley, in May 31, 1849 at McLean Co., IL, USA, Book B, p. 214. Rebecca J. Cotter married Edward Stuart Houghton in Nov 16, 1846 at Scott Co., IL, USA, Lic. 514, Book , p. 56. Bethuel Houghton married Jane C. Morgan in Jan 30, 1844 at Rockford, Winnebago Co., IL, USA, Book I; MLM: Jan. 28, 1845. Jane C. Morgan married Bethuel Houghton, son of Jonathan Houghton and Abigail Wyman, in Jan 30, 1844 at Rockford, Winnebago Co., IL, USA, Book I; MLM: Jan. 28, 1845. William Catlin married Melissa Houghton in Sep 11, 1847 at Winnebago Co., IL, USA, Book I; also Sep. 17. Melissa Houghton married William Catlin in Sep 11, 1847 at Winnebago Co., IL, USA, Book I; also Sep. 17. Lyman Carter Houghton married Mary Ellen Lofgran in May 23, 1906 age 21 and 18. Mary Ellen Lofgran married Lyman Carter Houghton, son of William Houghton and Permelia Elvira Carter, in May 23, 1906 age 21 and 18. 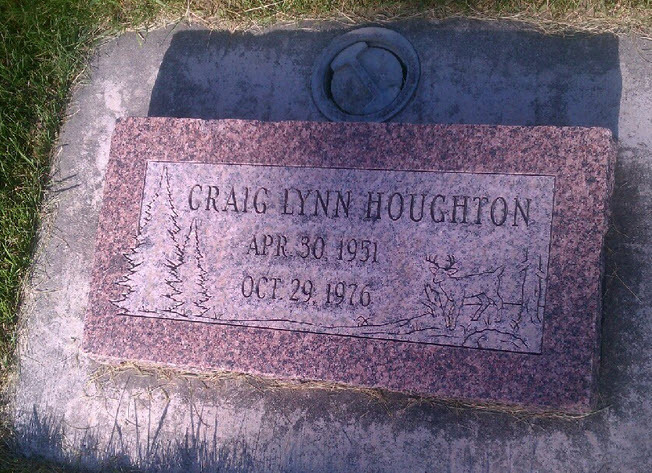 Arvil Lavon Houghton married LaRue Johnson in Aug 29, 1935 at Payson, UT, USA. Delbert Lyman Houghton married Twila Johnson in Jan 28, 1936 at Salt Lake City, UT, USA. Elmer James Houghton married Elma Mae Strong in Jun 14, 1928 at Salt Lake City, Salt Lake Co., UT, USA, age 19 and 18.